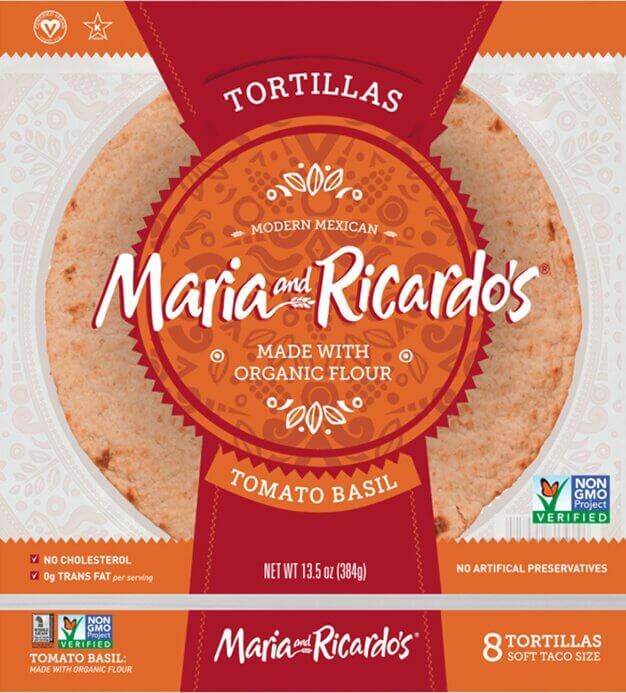 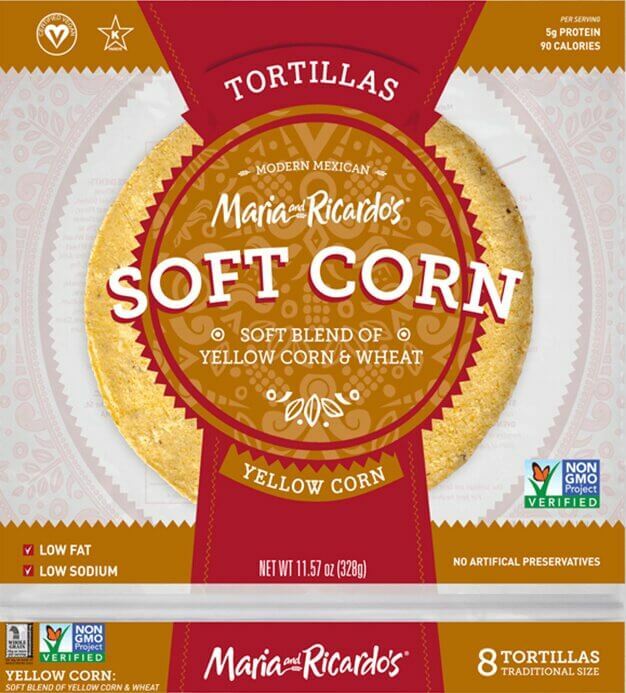 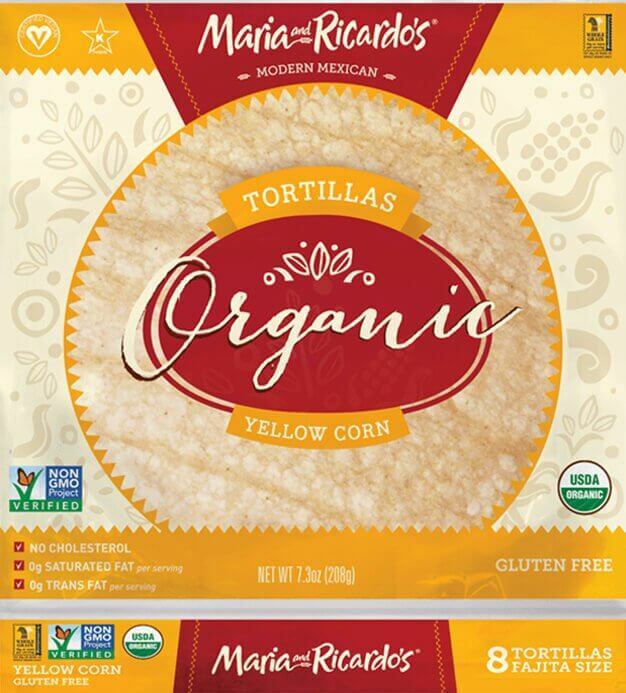 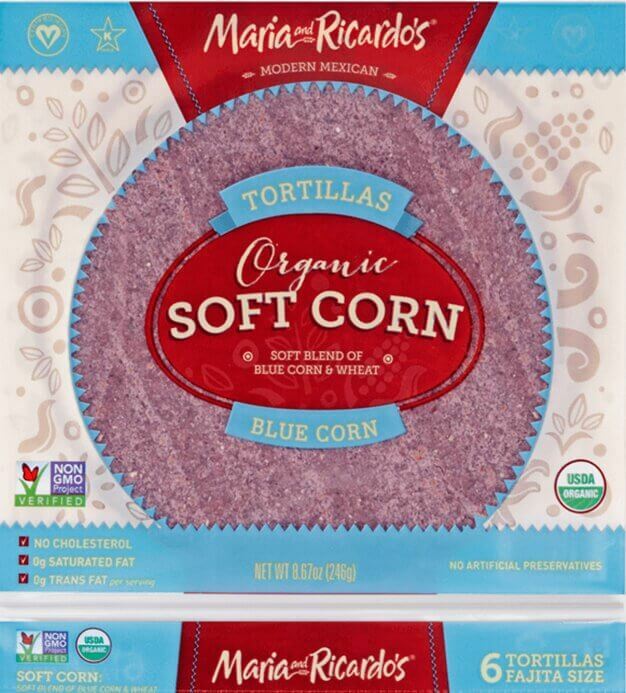 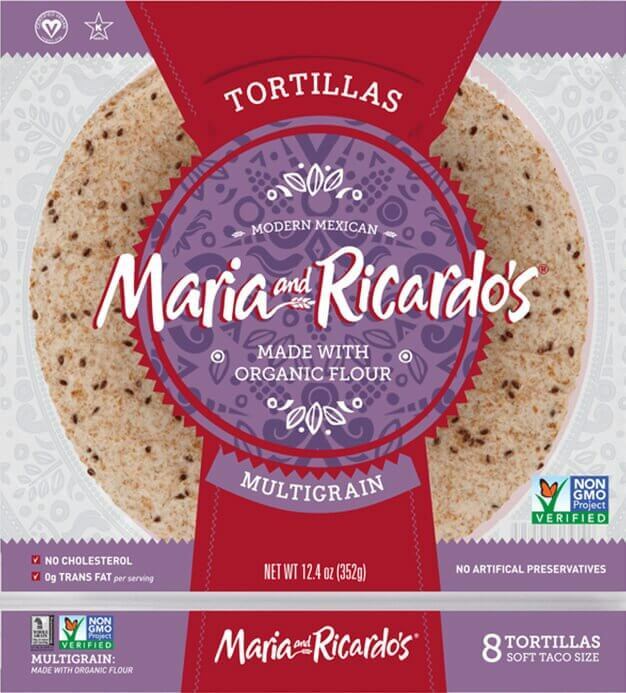 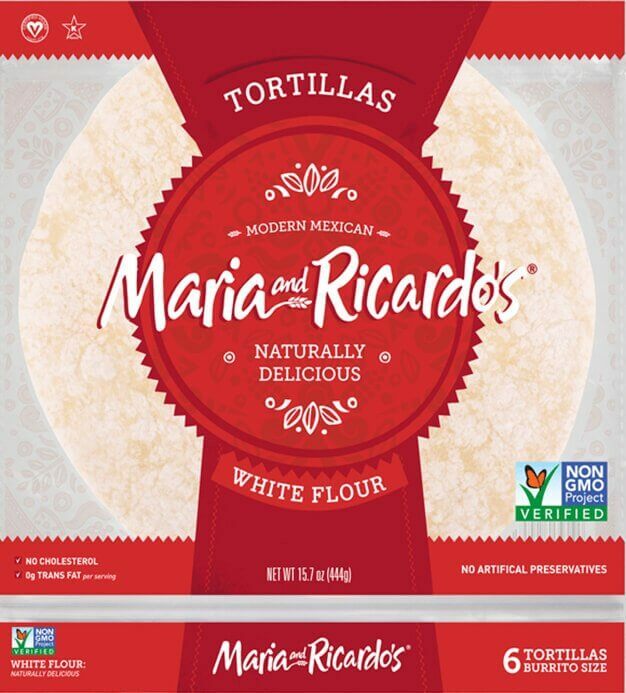 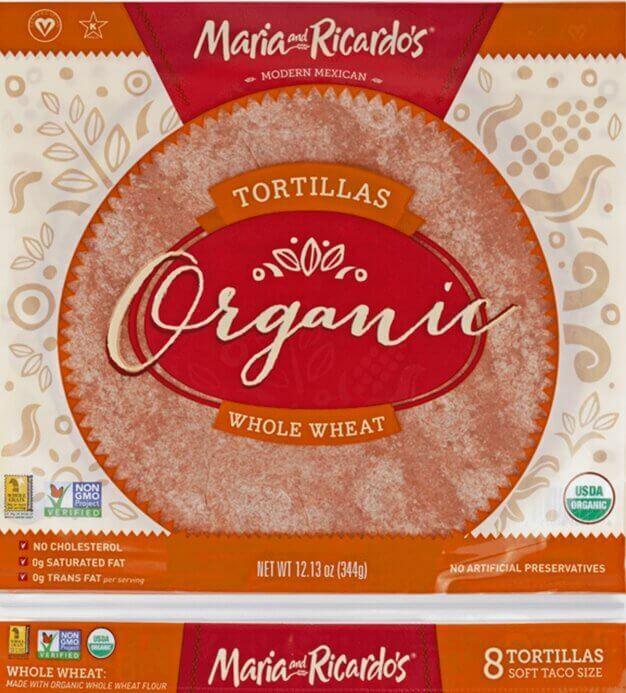 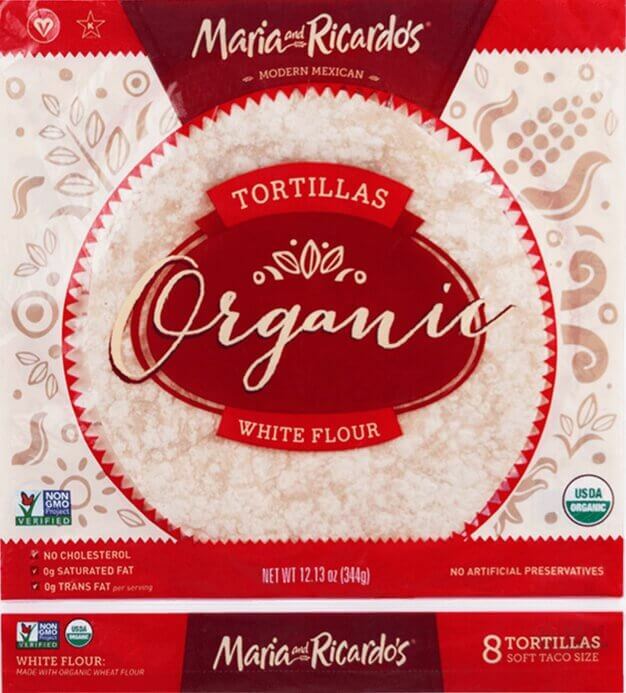 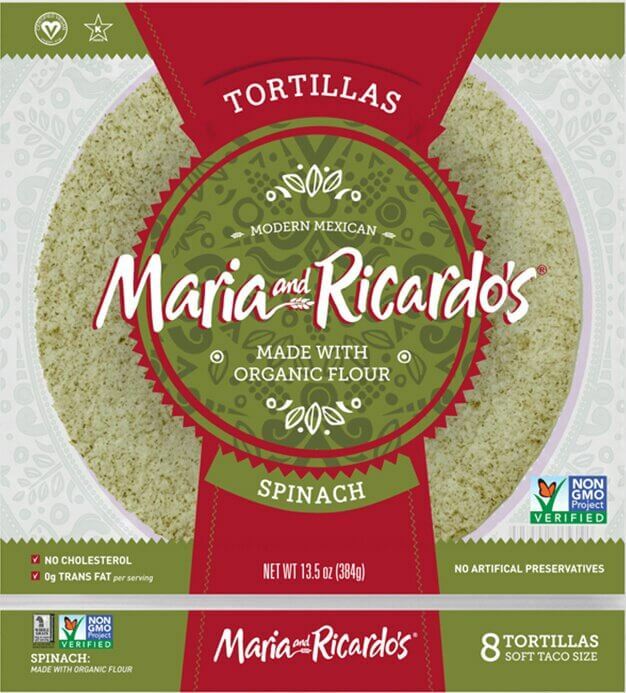 Maria & Ricardo’s Original Soft Yellow Tortillas are made with the highest quality, non-GMO ingredients to give you a taste and texture you are sure to love. 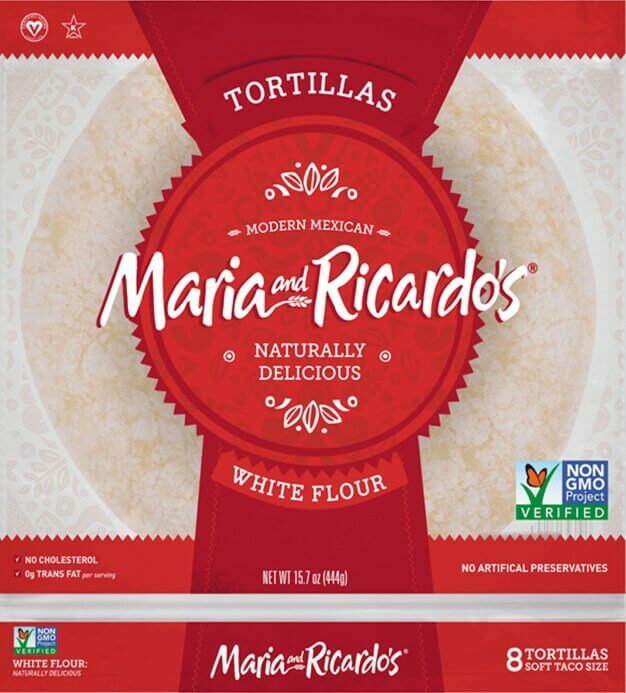 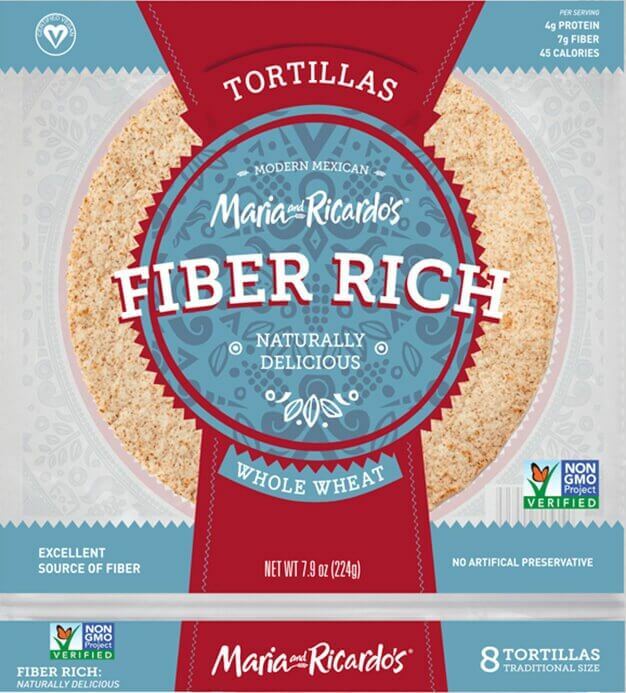 All of our tortillas are oven-baked and made from scratch using simple, wholesome ingredients, bringing the goodness of real Mexican cuisine to every package of Maria & Ricardo’s tortillas. 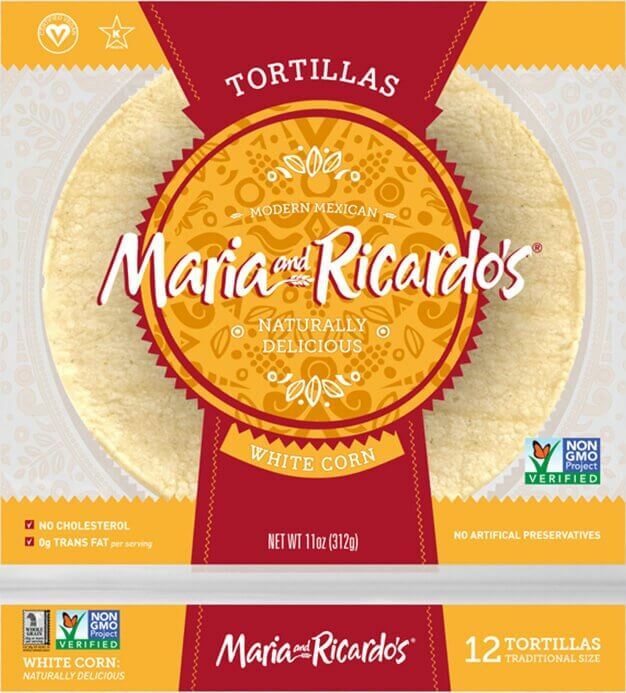 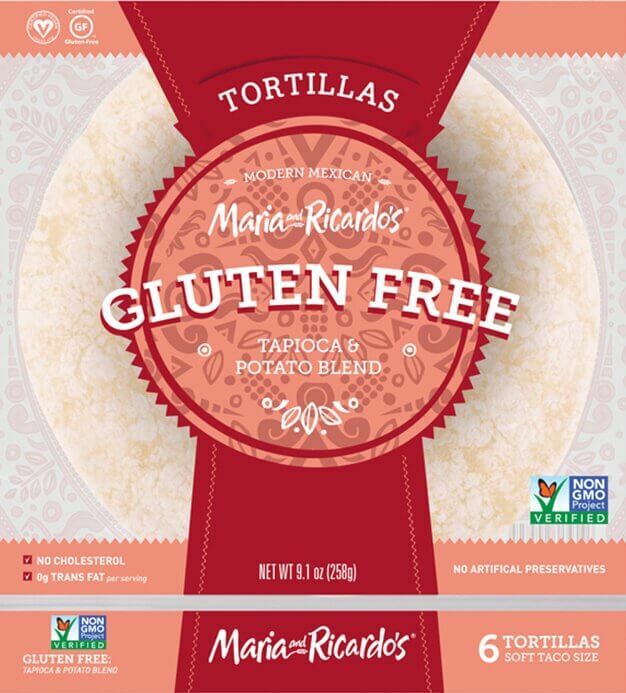 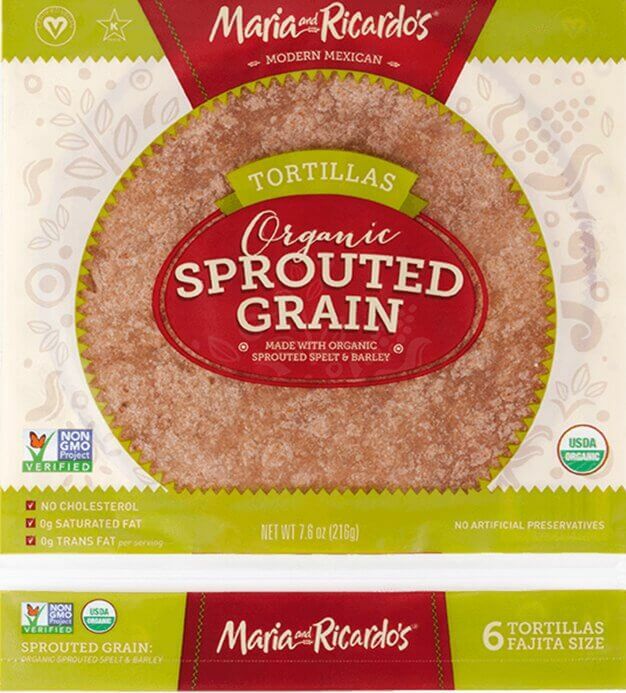 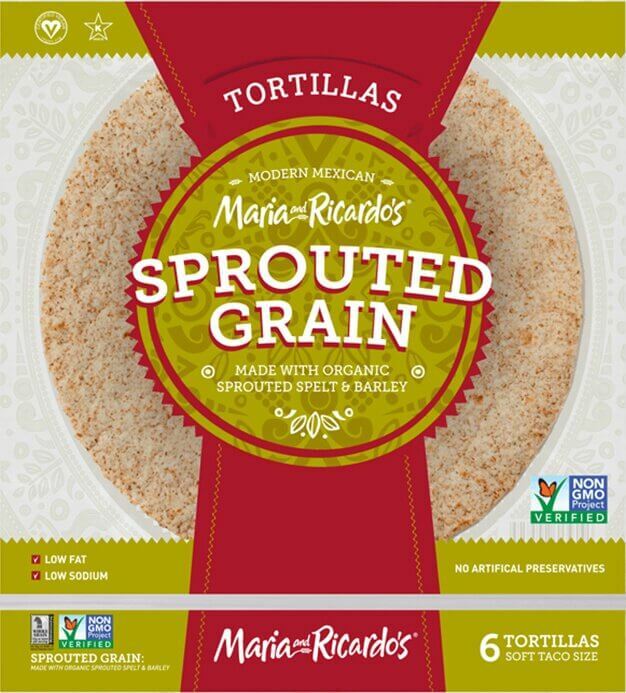 Free from artificial flavors, artificial colors and artificial preservatives, Maria & Ricardo’s tortillas are Mucho Goodness. 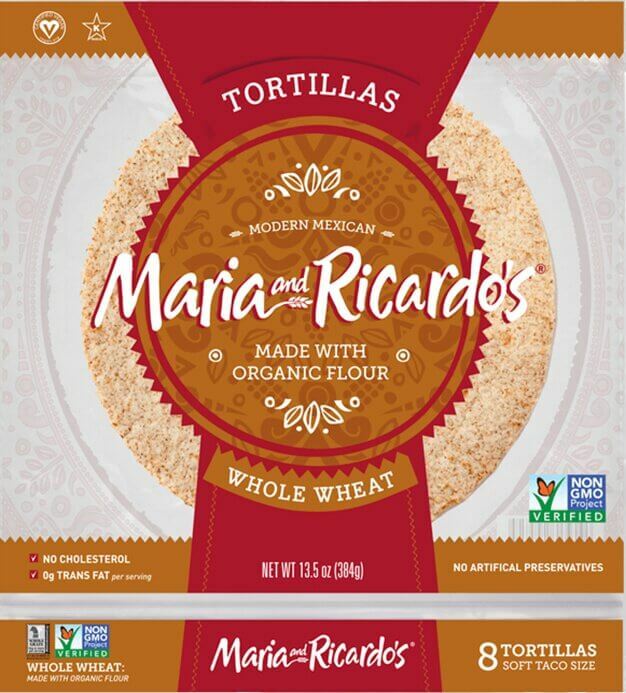 Whole Grain Yellow Corn Flour (Ground Whole Grain Yellow Corn Masa Flour, trace of lime), Water, Wheat Gluten, Cultured Wheat Flour added with Vinegar, Contains 2% or less of the following: Soy Lecithin, Wheat Fiber, Acacia Gum, Sodium Alginate, Guar Gum, Salt, Citric Acid.